Twirl around like a real ballerina in this beautiful, sparkly, purple ballet dress from Cara Jane! 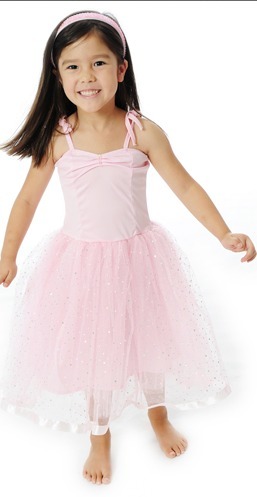 A traditional ballet dress top with a twinkling fabric skirt that looks amazing. With it's stretchy bodice and full and floating long skirt this dress is designed for maximum comfort without compromising on style. It's tie straps allow for room to move and the sparkle in the skirt is sure to please. 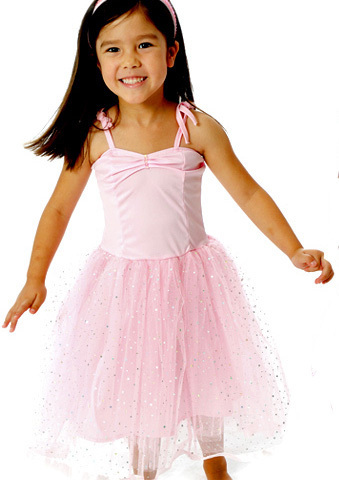 A truly beautiful dance or party piece- why not team it with Fairy Girls Ballet Slippers (sold separately).